Andrew Lincoln says Season 8 Premiere Will Be One Of The Greatest Episodes Ever. The Walking Dead makes television history following season 7 ratings. Negan's not so bad as he Help's Out At Hudson Valley Children Treatment Center! THE WALKING DEAD ISSUE #169 COVER REVEALED! 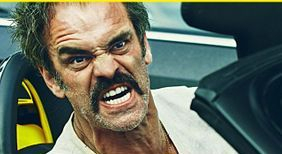 Why Simon (Steven Ogg) From The Walking Dead Looks So Familiar. The secret behind Shiva the tiger’s epic leap. Council Member art - Negan, Michonne, and Andrea.